The name tag has poor print quality. All other stickers were great. 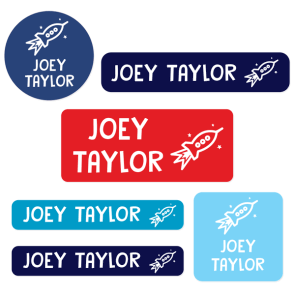 Lovely stickers. Exactly what I needed. We are delighted to hear that you have had a great experience with us from ordering to delivery! 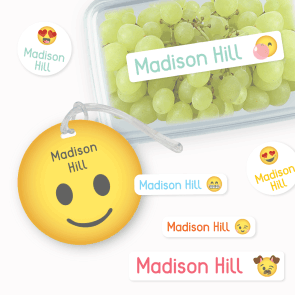 I am glad you like our Super Value Name Labels Pack! I am sorry to hear you not satisfied with our delivery times, please refer to our FAQ's page for future reference as our production and delivery times are listed on there! I hope you enjoy your new Cool Kids Value Pack! We are glad to hear you are happy with your 5+ Value Pack! 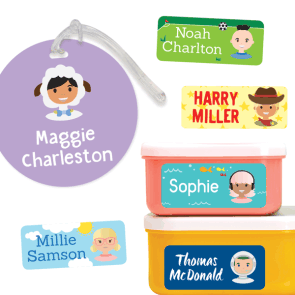 We hope you are getting great use from the variety of labels you have received as part of this pack. All labels excellent, excepts the iron on labels. The quality not the same my per my previous order, does not stick for more than one washing cycle, and if I iron the label with a warmer iron, the labels melts. Other than that, very happy! I hope you enjoy your Name labels and hope you come back soon. I hope you enjoy your Name Labels in your 5 + pack and hope you come back soon. Excellent. Love being able to order plain labels for older students. I hope you enjoy your new 5+ pack!